We've heard that Apple is to announce updates to almost all of its hardware line-up at WWDC next week, but the future of the Mac Pro still seemed uncertain. Now, 9to5mac and Mac Rumors are independently reporting that Apple is giving it one last chance. 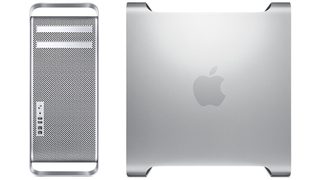 First off, 9to5mac claims that a source has provided it with part numbers for three varieties of an overhauled Mac Pro. It claims that the pricing will be similar to current versions, but with updated specs. It would be the first update in two years. Second, Mac Rumors reports that it's uncovered that Apple has been pulling Mac Pro stocks from most of its retail stores ahead of WWDC, with staff telling cutomers that new stock would be available on June 12th or 13th, just a day or two after the WWDC keynote.